Bill Tilghman was a law enforcement officer whose career began during a time when buffalo were still being hunted on the plains of Oklahoma and Kansas . The career ended 50 years later after serving as police chief of Oklahoma’s largest city. Prior to his first lawman’s job as a deputy sheriff under Bat Masterson in Dodge City, Kansas, he spent time as a buffalo hunter. He later served as a deputy U.S. Marshal in Guthrie, Oklahoma. Tilghman became famous as one of The Three Guardsmen, along with fellow lawmen Heck Thomas and Chris Madsen. The three have been credited with wiping out organized crime, in the era of horse-riding outlaws such as the infamous Doolin – Dalton gang. 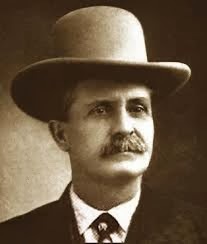 Some claim that during this time of cowboys and outlaws, Tilghman collected more reward money than any other law officer, a practice that would be frowned upon today. But Tilghman’s success in collecting rewards might have been explained by the fact that he rarely used violence in making arrests. He is credited with killing only two criminals during his 50 year career, an amazingly small number for that time in history. Tilghman served as Lawton, Oklahoma police chief and Lincoln County, Oklahoma Sheriff before resigning 1910 to try his hand at politics. It didn’t last long. 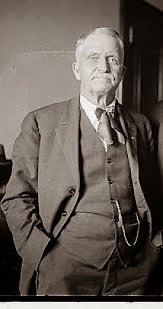 He was elected to the Oklahoma State Senate, but resigned a year later to become Oklahoma City’s Police Chief in 1911. After leaving the chief’s job, Bill Tilgham started a new career. He became a consultant to Hollywood movie producers. Soon fed up with the portrayal of criminals as glamorous, he decided to make his own movie. Passing of the Oklahoma Outlaws was released in 1915, but because it had no big name stars, met with little success. Tilghman had been advised by Hollywood to put Tom Mix in the movie, but he refused. A 1999 film about his life, You Know My Name, starred Sam Elliott and is worth watching. By 1924, Bill was 70 years old, but his reputation in law enforcement got him one more gig. 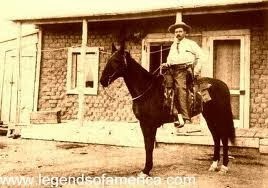 The town of Cromwell, Oklahoma asked him to become its lawman. He was specifically charged with cleaning up the vice, bootleggers and corruption in the town, which was under the leadership of a corrupt federal official. Wiley Lynn was a federal Prohibition Agent who was protecting the gangsters. A clash was inevitable. Only weeks into his new position, Tilghman encountered an intoxicated Lynn who drew a pistol. After he was disarmed, Lynn pulled a second pistol from a pocket and mortally wounded Bill Tilghman. Lynn was put on trial, but was found not guilty after claiming that Tilghman interfered with an arrest he was trying to make. A month later, the entire town of Cromwell burned to the ground, including all the speak-easies, whorehouses and gambling dens. It was rumored that the good citizens set the fire in retaliation for Bill Tilghman’s death. Wylie Lynn was later killed in Madill, Oklahoma by an agent of the Oklahoma Bureau of Investigation. Bill Tilghman was remembered in a 1925 article published in The Oklahoman. “Although fate has decreed that William (Bill) Tilghman, veteran Oklahoma officer, cannot ride in the ‘89er parade Tuesday, those who rode with him more than 32 years ago will see that his memory does not fade. Bill Tilghman is honored on the National Law Enforcement Officers Memorial Wall as one of those killed in the line of duty.